At PMAlliance we partner with our clients to provide mission-critical project management training and project management consulting services. Through our Duration-Driven® methodology, the name PMAlliance has become synonymous with trust, reliability and success. At PMAlliance we utilize our Duration-Driven® methodology to enable our clients to successfully complete their strategic projects on-time, within budget and to the intended level of quality. We provide a flexible combination of project management services including a PMI-certified project management training curriculum, best-in-class project management consulting services, end-to-end Project Team development and proprietary software add-in tools. 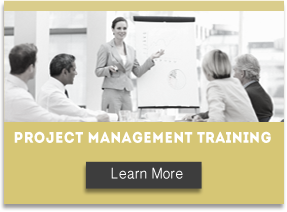 Does your project team need training? Our training fills the project management knowledge gap between team members and provides a consistent approach for the entire team. As a facilitator, our PMAlliance consultant was meticulous and knew the questions to ask to get at the information needed to map out the project successfully. Usually a project slips very fast and if you can’t react quickly, your project can fail. PMAlliance’s methodology helped raise red flags in our project that we could then respond to immediately.